The name for your food truck might not make or break your business, but having the right name can have a huge influence on your success, especially in its early stages. Coming up with a memorable name is one of the first steps in the branding of your mobile business, and a great name is the beginning of a great brand. Your food truck or cart’s name should be memorable and create a certain feeling when heard. The name you choose is truly the first impression people have of your mobile business. If you are new to the area, and people don’t know anything about you, they will make a decision based on the name you select. So how do you choose the right name for your food truck? While there are many different opinions on how to come up with the right name, there are a few things that you should keep in mind. Brainstorm. Think about how you want people to feel when they hear about your truck or cart. Write down these words on and then categorize them by primary meaning. Relate. Think about related words and phrases that evoke the feelings you want. Hit the thesaurus and find all the synonyms for your words and phrases. Relate more. Find out the Greek and Latin translations of your words. Figure out what colors, gemstones, plants, animals, etc., relate to your words. Experiment. Start playing with combinations of your various words and partial words. Don’t be judgmental now – just make a list. Reflect. Review your list and just give some thought to each name. How does it make you feel when you hear it? Your businesses name should be a reflection of who you are and what you do. Your customers should be able to get an idea of what to expect when they walk up to your service window. For example, you wouldn’t want to call your truck or cart “Ocean Breeze” and not have any seafood on the menu. Certain names conjure up images. You want those images to lead your customer base to you and your rolling bistro. You want your name to be easy to remember. Make it as easy as possible for your customers to be able to tell their friends and family about the great new truck they found. Even if they can’t remember exactly where you were located, if they remember the name, they can always look you up online. Your name should stick with them long after their meal has ended. As far as how to come up with the right name, that’s largely a matter of personal preference. Some people want to include their own name as part of the mobile restaurant name. Others may use the location of the business, or even something that reflects the history of the area they usually do business in. One thing to remember when going with trendy names: trends change. Try to make sure your business name will stand the test of time. One way to test your ideas is to tell family and friends the name, and have them tell you what image comes to mind. If they heard that name, what would they expect when they walked up to your cart of truck? Try to have them visualize everything from mood to menu items to what the employees are wearing. The more details they can give you, the better ideal you will have about the effectiveness of the name. Do this with several names, and get rid of the ones that conjure up the wrong image. Before you fall in love with the name you’ve chosen, and rush out to print up business cards and start advertising, you need to do a little research. There is a chance you won’t get to use any of the ones you really like. Before you go any further you need to do some research to make sure the name isn’t already registered by someone else. Bypassing this step could mean fines for copyright infringement, and having to spend the time and money to have your name changed. You can start your research on your own by looking online. Your next step is to contact your states Secretary of State office and ask them how to check for registered names. Also, check with the U.S. Patent and Trademark Office . They keep a listing of any federally registered trademarks. There are also some professional search organizations that specialize in doing research on company names. A U.S. trademark or service mark costs $325. It’s a drop in the bucket compared to trying to defend it in court later. Check online to make sure that an appropriate domain name is available. 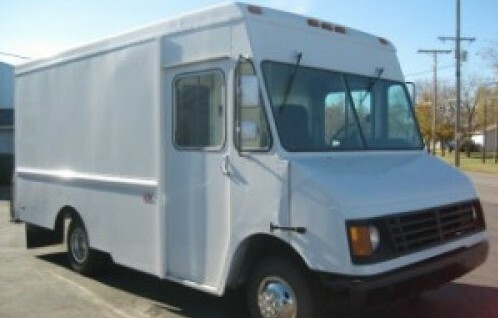 You want YourFoodTruckName.com, if at all possible. If that’s not available, you may want to reconsider. Even if someone doesn’t have the domain, you still want to see what else is out there that has the same name. That doesn’t mean you don’t use it if you find something, but you need to know. If the name you’ve decided on is available, register it with the Secretary of State’s office. If you are going to use a logo or trademark, you can register it with the U. S. Patent and Trademark Office. Once your trademark is registered, it stays registered to you as long as you file a renewal every 10 years. A good food truck name can be like a magnet attracting customers, and sets the mood for what they can expect when they walk through your doors. Do your research and make sure it’s the right name for you. You are Creating a New Brand – So make sure it’s memorable and has positive connotations. If it’s a foreign word, make sure it doesn’t mean something bad in another language. Easy to Remember – Make sure others find the name easy to remember. If it’s not, people will have trouble finding it and telling friends about it. Easy to Spell – If the name has an unusual spelling, it will make it harder for people to look up in the phone book and on line. We hope this guide helps you in creating a memorable and marketable business name for your new food truck or other mobile food vending operation. Without taking the time to do research, you may find that you will need to restart this process sometime down the road, because your original choice didn’t market your brand the way you had wanted it to. Still having a tough time coming up with a name, check our our free Food Truck Name Generator to see if it can give you some suggestions.